The Last Guardian - What's all the fuss about? As Sony took stage on E3 2015, it resurfaced a game that was announced back in 2009. 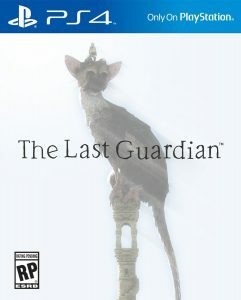 Yes the upcoming title for the PlayStation 4 gaming platform “The Last Guardian”(Project Trico).The game had been in development since 2007, the early days of the PlayStation 3. Creative director Fumito Ueda himself was on the play through explained that the game is primarily an action-adventure game. Another genre to add to it would be mystery, due to the very less disclosure of the game. The storyline plays through a first person perspective of a kidnapped boy that had just discovered a creature. Trico, what seems like a cat with body of an eagle, helps the young boy that is trying to escape the ruins, which he finds himself trapped in. It can be related with a Gryphon. By the looks of the horns on Trico’s head, and his undersized wings on his oversized body, we can infer that he is still a developing baby. Furthermore we see that the boy calls upon the Trico to summon it. The boy can direct Trico to a certain direction by yelling commands, pointing, and stomping his feet on the ground. In the beginning, Trico seems like a disobedient pet, but their relationship grows stronger as more of the game is revealed. We are not disclosed to the background story, which adds to the mystery of the storyline. Fumito Ueda declines to tell us more, and tells us “We want the players to experience it for themselves as the story unfolds”. Fumito Ueda states the game was delayed due to some technical hurdles. The team developing the game thought it would not even be developed at all. The team was able to overcome the problems and surprise everyone at E3. As we see in the gameplay, the only obstacles revealed are broken platforms and torn up bridges. Fumito Ueda assures us that there are other encounters that the player will discover. All the actions of the boy are controlled and timed. As we see in the trailer, after ground starts falling below his feet. he is desperate to call upon Trico. The boy leaps and expects Trico to catch him in his mouth but misses. That’s where the player has to safely fall on the tail that Trico extends. Of course, this game would have lacked some suspense if it wasn’t for slow-motion. It helped to add the intensity of the already mystery-packed game. The graphics are a notable win for Sony, as they are mostly brightened to fit the game’s core. This might explain why the game was delayed and resurfaced. Every movement and natural action in the game has added detail. The sounds in the game are extravagant, The reactions of the crowd gathered at E3 was a spontaneous round of applause. Why was the boy kidnapped, who is Trico, How will they get home? What hypes up the players even more to play this game are the two notable games Ico and Shadow of Colossus. These were always intensified and will try to create their own theories and concepts, but the story will unfold when the game releases sometime around 2016. To answer the original question: because it’s set to be epic. Get ready for an amazing adventure.